“We’re delighted to have skilled industry leaders outlining their teams’ experiences – especially people who know that safety and productivity can be improved simultaneously. It’s an intriguing line up of case studies for this year’s conference,” he added. 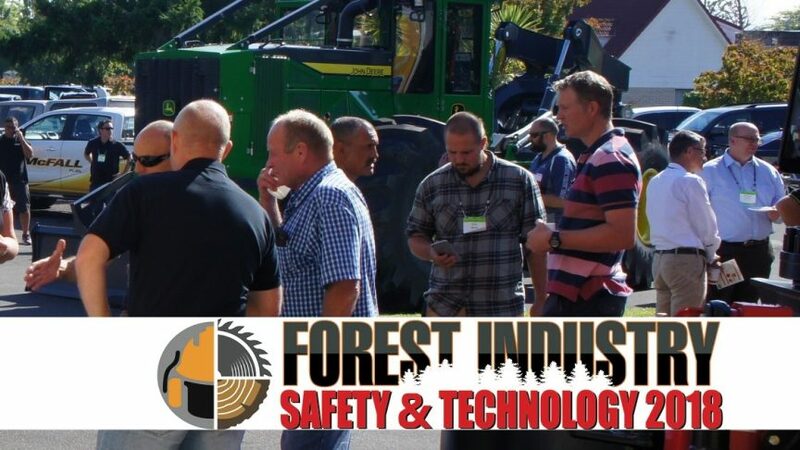 “Many of our speakers have delivered real tangible safety results both in forestry and similar industries. They will impart some really practical information. Many of them have been working with industry for a along time and know how to apply their solutions with forestry people and cultures,” adds Thomson. Registrations are open for the August 2018 conference series running in Rotorua and Melbourne. Thanks to great support industry, led by principal event partners McFall Fuel and VicForests, a special on-line early-bird delegate registration offer is now available for a limited time. Early-bird discount rates end this Friday, 30 June. Go to www.forestsafety.events. to register. A practical leader of electrical contractors with a very applicable model explaining how they “do safety differently” so that it works for their practical people working in the field every day with changing conditions, just like those faced by forestry people. Jono’s teamwork results are proven through their results in practice and put in place in the aftermath of the Canterbury earthquakes. Wiremu is a passionate industry consultant with thousands of hours of practical solutions. He has honed safety culture solutions with many forestry companies and teams in both New Zealand and abroad. He has harnessed the energy of his audiences and extended his depth of experience and practical solutions for both men and women in forestry crews. Resiliency, our ability to cope with pressures of a busy life, is crucial for our physical and psychological health. Lance focuses people-centred outcomes. He demonstrates how three key areas; communications, safety, and resiliency shape our workday. For most of us, a challenging part of the day is holding difficult conversations with others. If we communicate more effectively then the impact on us from an emotional conversation is reduced significantly. Our industry-leading speakers are all practical industry leaders and safety champions. They have come forward to support the 4th FIEA Forest Safety & Technology Conference. This conference series sold out in 2017 and is running again in August 2018 in Rotorua and Melbourne. The summit is on 8th August in Rotorua at the Distinction Hotel. The following week – 15th March – it runs at the Bayview Eden Hotel in Melbourne. For full conference details see: www.forestsafety.events. In Australia there is a pan-industry workshop on the afternoon before the FIEA conference – from 1 to 5pm on 14th August also at the Bayview Eden Hotel in Melbourne. FIEA has worked with Stacey Gardiner from Australian Forest Contractors Association and Diana Lloyd of Forestworks in Australia to organise this.